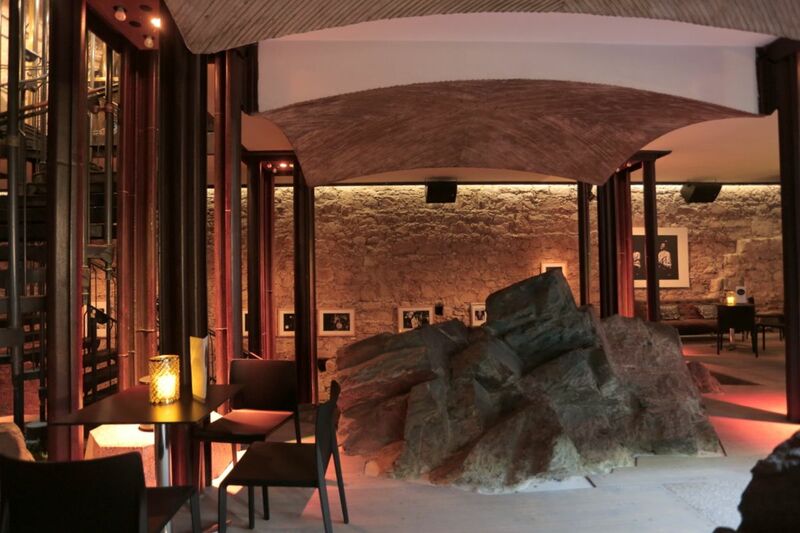 Rock Hall, special venue in Ljubljana Castle, boasts a unique feature of multi-level layout and interweaving of building material with geological structure on the ground. Rock Hall impresses with massive rocks. The medieval Ljubljana Castle has served to many different purposes in the past – it was first a fortress, then residence to the provincial governor, a barracks and even a prison. Today, though, it is a major tourist attraction and city landmark offering many halls and premises for rent intended for various occasions in an idyllic castle environment. Its Rock Hall (Skalna dvorana) is one of the more enchanting venues that the castle has on offer. As the hall’s name already implies, the venue boasts geological structure on the ground: large rocks that interweave with building materials. As archaeological excavations show, it was only in the 16th and 17th centuries that the first hall was erected in this part of the castle, between the Archers’ Tower and the Pentagonal Tower. Plans from the beginning of the 19th century describe the space as woodshed and premises for prison warders and administrators. Renovated in the early 1990s, this tract was the first major building project of the contemporary renovation of the Ljubljana Castle. From the Rock Hall a participant at the event can easily walk around the mighty Ljubljana castle and its surroundings with beautiful views of the town and Alps in the distance. To get from the Castle to Ljubljana’s old-town, one can take a short stroll down the hill or takes a funicular for even more scenic views. The Rock Hall derives its name from the massive rocks in the middle of the hall, which show the geological structure of the Castle Hill. The entrance to the multi-level hall is beneath the castle bridge, up the double spiral staircases from the Castle Coffee House or from the connecting Lapidary above the funicular. The Hall offers 270 square meters for a buffet for 150 people. The layout and the rocks certainly contribute to the special experience of the meeting or event. Depands of the event planner’s wishes: either the event planner arranges it, or on the request of the meeting/event planner the Castle’s team arranges one. Ljubljana Castle offers a lot of interesting incentive programmes. For example, your congress guests can get on an exciting adventure game named Escape Castle with elements of the game Escape Room. Or they can step into a Time Machine in which six customed characters take them on a travel through six time stations. For even more adventorous ones, the Castle offers an immersive guided tour Behind Bars where participants can take a peek behind castle bars and discover a dark but mystical side of the castle’s turbulent past.